Self-driving vehicles are set to transport more groceries than passengers, if Kroger continues its efforts. With the deployment of automated delivery cars in Scottsdale, Arizona, Kroger is taking steps to make grocery delivery easier than ever. 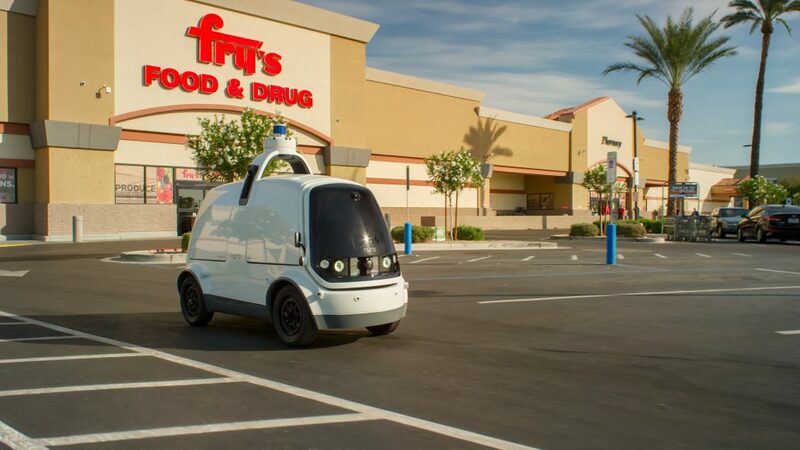 The self-driving R1 vehicles, built by Nuro and working to bring Fry’s Food & Drug products to customers in the trial area, are indicative of a growing trend towards convenient grocery tech. However, most consumers aren’t ready to take the leap of trusting self-driving cars, at least as passengers. In a recent survey by the Brookings Institution, only 21% of the thousands of respondents said they were willing to ride in a self-driving car. Much of the hesitation comes from moral concerns and how the vehicles should react in car crashes, but the technology is still appealing. By bringing self-driving cars into the grocery space, tech companies can test and demonstrate the vehicles with minimal safety concerns. Consumers also have a chance to interact with this tech on a regular basis and grow to trust the delivery vans. Companies besides Kroger have started to integrate automated vehicles into their supply chain as well, most notably Amazon. 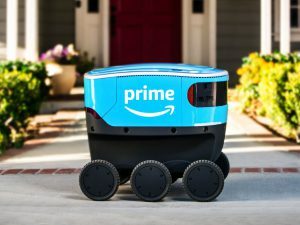 The retailer recently deployed delivery via cooler-sized robots in a Seattle neighborhood. According to Amazon, though the carts require human supervision for the first stages of testing, they will eventually be able to deliver items on their own. Still, the R1 cars in Scottsdale are the most advanced grocery delivery vehicles in use, and it’s easy to see why. Nuro, a company founded by former principal engineers at Google, has gathered an impressive team from tech giants and universities around the world. 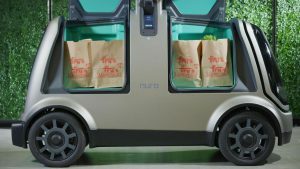 From the Nuro safety guide, we see a glimpse of the future to come: “Our custom vehicle is engineered to make delivery of everything more accessible — from groceries to pet food, prescription drugs to dry cleaning.” By partnering with a team on the cutting edge of self-driving technology, Kroger has set themselves up to be a leader not only in the grocery industry, but in automation as well. The electric vans travel at a maximum speed of 25 mph and were originally accompanied by human drivers. The supervising employees traveled behind the Nuro R1s in their own vehicles as a way of monitoring the new technology. Since launch, the company has taken steps toward making the delivery fully autonomous. What differentiates this kind of delivery from the competition is that the customers in Scottsdale can schedule the Nuro vans for same-day delivery, done through the Kroger app. Once a van arrives at a shopper’s home, they unlock a locker compartment on the vehicle with an in-app code. The speed and ease of delivery sets Kroger up to compete with heavy hitters like Amazon and Instacart, even if the range of the electric vehicles is limited. The added consumer appeal of having groceries delivered via self-driving car is worth noting, as well. Nuro’s R1 fleet is fully electric, and the company frames their self-driving cars as an environmentally-friendly solution to errands. Their focus is on fewer emissions, safer deliveries, and less traffic congestion. It’s unclear how soon Kroger plans to expand their service with Nuro, but the technology is drawing interest from all over the retail industry. Though consumers are slow to trust self-driving vehicles, Nuro’s R1 vans and similar delivery services may be able to win them over. The R1 is designed to be self-sacrificing and prioritize human safety on the road. Delivery vehicles are free from the ethical debates that have accompanied self-driving technology in the past. Kroger has aggressively expanded their services in the past months, starting with their acquisition of U.K.-based Ocado. In November, the retailer announced plans to build an automated warehouse in Cincinnati. 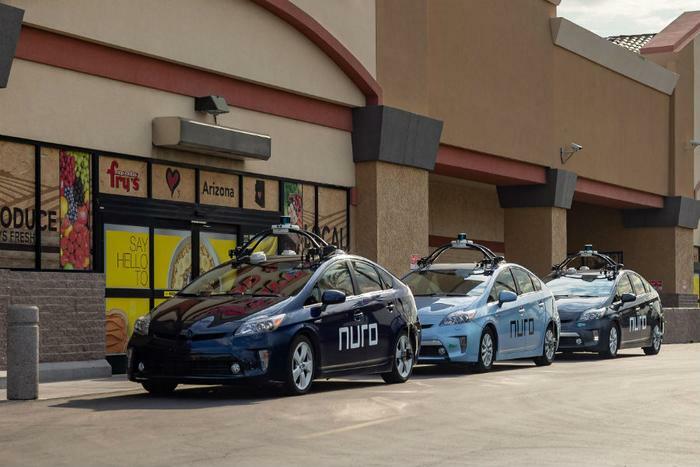 In combination with the Nuro’s vehicles, as well as a pilot to pick up Kroger groceries at Walgreens stores, the retailer is building an impressive infrastructure to compete with Amazon. We recently attended GroceryShop and were able to see future developments in the retail industry. To learn more about retail tech innovations, watch this video of Tim Ouimet discussing the rise of agent-based shopping.